How are innovative technologies transforming customer service? Today's brands can offer 24/7 customer service using robotic process automation and data analytics. A force for good or for bad? In recent years there has been a lot of debate around the impact that technological innovation is having on our lives; and by now we have become used to the convenience that technology provides - from never getting lost thanks to Google Maps, to keeping in touch with far-flung family over Skype. This has inevitably had an impact on the assumptions consumers hold about the brands they interact with. Today, consumers expect to connect with their favourite brands whenever and however they want. Exceptional 24/7 customer service is no longer a badge of honour, but a necessity. The idea that a robot could do a human’s job used to be seen as futuristic nonsense, that is, until it started to become more and more of a reality. From supermarket self-checkouts to e-passport gates, the conversation around robots in the workforce is growing. But what about in the customer experience sphere? For brands looking to up their customer experience game, RPA is a key technology to employ. RPA, Robotic Process Automation, means using computer software to process transactions, manipulate data or trigger responses, depending on the scope of the request. It is this technology which is behind tools such as web chat, self-service portals and apps, which form the core of many brands’ customer service offerings today. RPA is a particularly useful tool to support customers with straightforward transactions and basic transactions - those that are following a fairly standard, linear journey. Data analytics tools are vital for gathering detailed insights into your customers’ journeys. These tools collect and gather data by looking at thousands of interactions between business and customer. With the support of strategic partners, businesses can analyse the data and identify trends, as well as measuring and understanding the successes and failures of different customer experiences. By measuring the effectiveness of their interactions with customers across all channels, businesses can make sure they are delivering the right service, in the right way. These insights are particularly valuable when it comes to customers with particularly tricky problems. Here, data analytics can give businesses invaluable insight by pinpointing the time that robotic-service or self-service should stop, and the client should be handed to a human customer service agent. 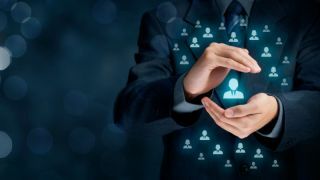 Without the knowledge provided by data analytics, businesses risk damaging relationships with customers if they are left with automated advice for too long. And the value of these insights doesn’t stop there - they are also invaluable in assisting customer service agents in dealing with consumers. Customer service agents are able to access a log of the customer’s previous interactions, helping them to gain a better understanding of a customer’s profile. By revisiting information that customers have already provided, agents are able to both find answers quicker and have the capacity to deliver an experience tailored to the needs of that particular individual. It isn’t just customer interactions which are being transformed by automation. It is also transforming back office processes – by automating simple but time-consuming tasks, businesses are freeing up their employees’ time, allowing them to focus on higher value activity that will really make the difference to a customer’s experience. This type of automation is of particular value to financial services, and other heavily regulated industries, where efficiency and accuracy is of utmost importance. Back office automation can help to reduce the number of human errors made, which can be the cause of many complaints. However, while many large banks recognise that they are hampered by inefficient and cumbersome legacy technologies, they lack the resources to overhaul them. This is why it can be so valuable for financial companies to consider outsourcing their commercial finance operations as an effective way to transform and gain the benefits of automation, but with lower risk and resource. Nearly all businesses will experience periods of turbulence at some point. And when things do go wrong, even the most advanced AI technologies won’t cut it. They simply can’t understand tone of voice and context in the way a customer service agent can. Sometimes customers just want to hear an empathetic human voice on the end of the phone, with the knowledge and experience to work through the problem. Digital customer experience tools are most effective when there is a human guiding hand. Microsoft’s disastrous experimentation with Tay, the notorious AI chatbot it let loose on Twitter in 2016, might be an extreme example of what can happen when these tools are left to their own devices, but it is a good example of the importance of human judgement and oversight. Digital technologies provide many exciting opportunities to transform and revolutionize the way a brand interacts with its customers, and the rate of change doesn’t look likely to stop anytime soon. Google has recently announced its new Google Assistant, Google Duplex, which can complete administrative tasks with a human over the phone. If this technology is rolled out more widely, the implications for customer experience are yet again transformed. But no matter how advanced the technology, digital tools should never make up 100% of a brand’s customer service strategy. For every tech savvy consumer happy with high tech solutions, there will be non-digital natives and vulnerable customers who just want to pick up the phone and choose option three.